The shoes more beautiful and original!! 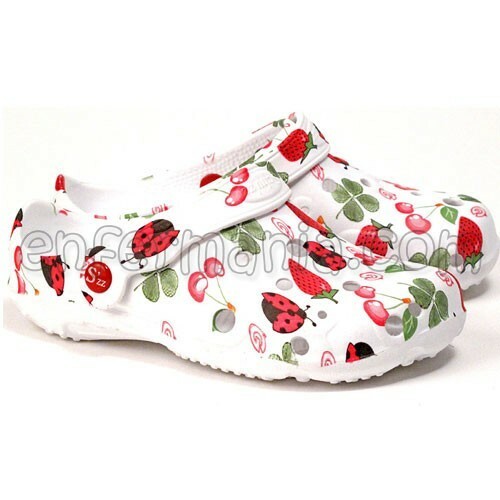 The blade perforated allows for perfect aeration of the foot, and also supports the placement of decorative buttons without problems, to customize your clogs to your taste. Footwear anatomic, made of rubber resin expanded, with strap hinged. Ultra-lightweight and non-slip. Your outsole with high-profile ensures a perfect grip to the ground. Antibacterial and antifungal (material resistant to bacteria and fungi that cause bad odor). Several prints very colorful and original to choose from.